Longtime Nouveau contributor Karol Herbst who joined Red Hat several months ago has been working on Nouveau NIR support as stepping towards SPIR-V/compute support and this summer the work very much remains an active target. Karol Herbst this week sent out his latest patches, which are preparations for the NIR common code within Mesa for supporting OpenCL. The OpenCL support within NIR isn't fully in place yet, but the code for this intermediate representation and SPIR-V compiler continue to be prepped for eventually allowing it to happen. The six patches sent out today are fixes as well as implementing some prerequisite functionality. The patches under review can be found on Mesa-dev. With the Mesa 18.2 code branching (feature freeze) being right around the corner, the Nouveau SPIR-V/compute support won't happen in time for this next quarterly feature release. 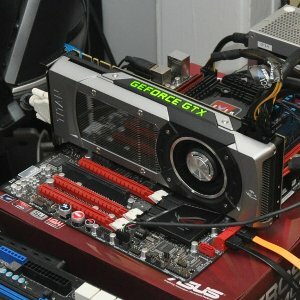 It remains to be seen though Red Hat's ultimate game plan for this Nouveau compute support considering that recent generations of NVIDIA GPUs on this open-source driver are crippled when it comes to performance due to the lack of re-clocking support -- more on that in The NVIDIA vs. Open-Source Nouveau Linux Driver Benchmarks For Summer 2018. Regardless, interesting times ahead and Red Hat's continued investments into the open-source driver components are much appreciated.